As one of few black women in a senior media role, I have a burning passion to ensure the industry embraces diversity of all types. Aside from the fact that it is clearly morally correct, I firmly believe it is essential to the continued success of advertising and media agencies. When companies commit themselves to diverse leadership, they are more successful. More diverse companies, we believe, are better able to win top talent and improve their customer orientation, employee satisfaction, and decision-making, and all that leads to a virtuous cycle of increasing returns. It’s great to see the evidence from McKinsey, but in my industry the fact that a more diverse workforce will improve business performance is really just common sense. Our role is to help advertisers connect more effectively with their target audiences. That means we have to understand their audiences. Since their audiences are increasingly diverse, we will do this job better if our staff reflect all aspects of their diversity and difference. The black and ethnic minority population in England and Wales stands at 14% and, according to the Institute of Practitioners in Advertising's ‘Multicultural Britain’ report, England and Wales will be as diverse as London is now (with around 40% of the population from a BAME background) by 2051. The wider media industry – as Lenny Henry pointed out in his speech at BAFTA last year – is struggling to keep up. Certainly we’re making progress. The nations’ favourites soaps are meant to reflect life in the UK. We see black and ethnic minority characters on these soaps: Coronation Street – check; Emmerdale – check; EastEnders – check; even Doctors – check. We have for a long time seen black and ethnic newsreaders on our TV screens – Trevor McDonald always reminded me of my dad as a kid growing up in Reading in the 1980s. Then, there was Moira Stewart, and now the new class of Dharshini David or Gillian Joseph on Sky News. Even the odd ITV drama such as ‘The Ice Cream Girls’ use a black female character in one of the central roles, along with Idris Elba in the main role in ‘Luther’. But…where are their black friends and family? These dramas are few and far between. Not exactly representative. Thankfully, we have moved on considerably since the days of advertising as depicted in ‘Mad Men.. Black and ethnic minority families are portrayed in a number of fast-moving consumer goods and retailer adverts on our screens and in magazines, but there are still a number of sectors where there is a noticeable absence of BAME representation. I suspect that the luxury sector carries a misconception that ‘black’ is not aspirational. So, it's not seen as aspirational for a white person viewing that ad or even a black person viewing it – in other words, there's still a perception that white is somehow better than black. 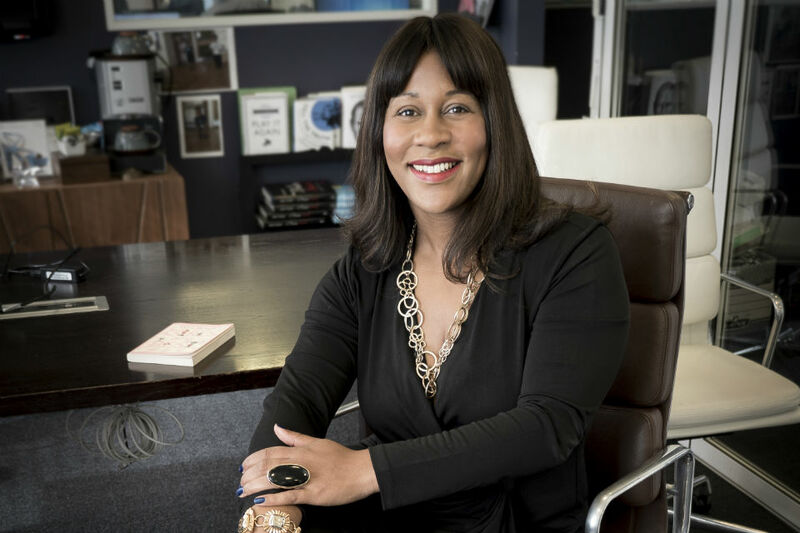 Of course, this assumption is incorrect and dangerous – and as a black woman who works in advertising, I hope I can be part of the solution in educating these brands differently. I know that diverse teams are more creative, productive and create a culture that people want to be part of. Diverse teams, in terms of gender and race, are successful teams that generate revenue. Yet, the percentage of women and BAME groups on boards and in senior management roles is not good enough. To say that we're hard to find, or not qualified is nonsense. Nepotism and laziness mean that senior positions go to the same sorts of people. Do I believe in quotas? No. However, I do agree with Lenny Henry and recognise that there needs to be a step change to make the shift. I believe in widening the door to ensure that employers are seeing diverse candidates. I'm keen to see if the Rooney Rule from American football can be applied to business? The rule requires teams to interview BAME candidates for senior coaching and operational jobs, but does not impose any kind of quota on who actually gets hired. Has it led to more Afro-American candidates being interviewed? Yes. To encourage diversity within my own company, MediaCom, I have set up a government-approved apprenticeship scheme. We have also partnered with organisations to help us find talent from diverse ethnic backgrounds to apply. As we’re the market leader, I believe it will encourage other agencies to follow suit. My visibility is also a factor in changing the make-up of MediaCom. Since I became CEO in 2011, the number of BAME employees at the agency has increased from 12% (the industry average) to just under 18%. People that look like me know it's an industry where you can progress, you can learn, you can earn… and then serve and help cheerlead the next class.